A native of New England, Pamela Goldsmith was first introduced to classical guitar by Joe Zuccala in Massachusetts. His inspiration and guidance prepared her for her future as a student and teacher. Since studying with Zuccala, Pamela has worked with Keith Crook at the University of Maine, Jeff Ashton and Bryan Johanson at Portland State University and Scott Kritzer in Portland, Oregon. 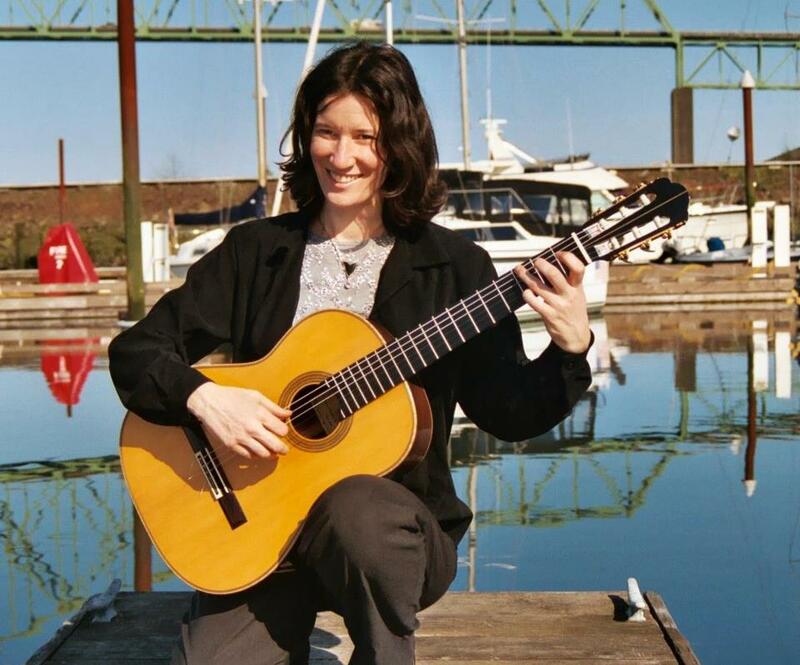 Pamela received her Master’s Degree in Classical Guitar Performance from Portland State University, where she served as a graduate assistant teacher. She received her Bachelor’s Degree in Classical Guitar Studies from the University of Maine. Pamela is Adjunct Guitar Professor at Linfield College where she teaches private, group and chamber classes. Additionally, she maintains a private studio in Northwest Portland. Pamela has performed at such venues as Harvard University, the International Pinot Noir Celebration, and The Old Church. She actively supports charitable causes such as the Spruce Run for Battered Women, the Women’s Inter-community AIDS Resource, and the Dougy Center. She is active in the Pacific Northwest as a solo classical guitarist and collaborative performer. Pamela is passionate about the history and vitality of the pieces in her repertoire.